Can you say, whirlwind? The 2019 ASLMS annual conference in Denver was a huge success, and we're grateful to have been a part of such an influential weekend in medical technology. 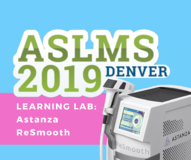 In addition to showcasing our leading technology on the show floor, the Astanza ReSmooth was selected for an exclusive Learning Lab featuring the latest in laser hair removal technology. Aside from business, we definitely had fun at the #SkiLodge and even RAN OUT of our exclusive Astanza Celebrity Gift Bag giveaways! 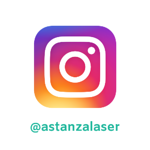 During one of the two Learning Labs, The Astanza ReSmooth was featured in a discussion about vascular lesions, IPL, laser hair removal and body contouring. These were jam-packed, and attendees were able to learn more about our diode laser and its hair removal and vascular lesion correcting capabilities. Learning Lab attendees were most surprised to discover that the ReSmooth is not only able to treat all skin types (I - VI), but that it can also treat a man's entire back in under five minutes. "Being featured during a Learning Lab couldn't have been a better opportunity to showcase the technical and business implications of the ReSmooth," said Brent Nixon, VP of Sales. "We believe in this technology and have seen how the ReSmooth has helped our Med Spa clients meet the rising demand for laser hair removal - and exceed their patients' expectations with lasting results." Back at the booth, we brought things to another level. We featured the latest additions in our aesthetic laser lineup, including the DermaBlate for skin resurfacing, the ReSmooth, and the EthereaMX, our newest platform device capable of providing over 70 different treatments with 7 handpieces. ASLMS attendees were invited to warm up at the #SkiLodge with our complimentary hot cocoa and coffee bar and some sweet giveaways. 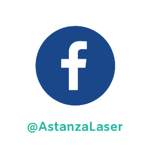 Lucky passersby even scored exclusive Astanza Celebrity Gift Bags with custom beanies, campfire mugs, special Astanza accessories and trade show special pricing on DESCRIBE® PFD Patches for laser tattoo removal. "The #SkiLodge was a huge hit! I loved being able to chat with people over a cup of coffee and learn about their businesses," said Brian Hasenbauer, VP of Marketing. "The Celebrity Gift Bags went really fast, and I wish I would've snagged an extra beanie to take home!" 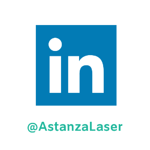 ASLMS 2019 was a great experience for Astanza as a whole, and we left with even more advanced industry knowledge to share with our clients and help them improve their aesthetic laser ventures. We're thankful for the opportunity to learn more about the latest in the medical technology industry so that we can help our clients improve patient care and continue #changinglives. ASLMS, we'll see you next year! 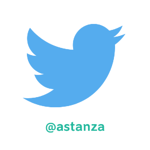 For more on Astanza's upcoming events, stay up-to-date by subscribing to the blog and following us on social media! Click each icon to follow us!